Twitter is a great way to get to know people, learn a lot and get known as a subject matter expert and resource. That doesn’t come from tweeting quotes, the weather and pictures of your dinner, though. You have to find people and discussions and engage. Get known. Become friends. Convince people you know what you’re talking about. I’ve compiled a list of a dozen dos and don’ts to get you on the right path, and avoid annoying people when possible. If you’re unfamiliar, TruTwit is a service that came out long ago, that adds a verification hurdle to following someone, to prevent robots from following you. At some time this might have had it’s use, but that day is gone. It’s pretty universally hated. No one thinks you’re clever for using it. Many will withdraw their follow when they get a notification they have to jump a hurdle to follow you. Wherever you read that auto DM on connect was a good idea, they were wrong. They were wrong then, it’s wrong now. It’s obnoxious. Some will unfollow you when they get the message. Nearly everyone will ignore it. What’s perhaps worst of all, is if people actually try to reply to you, and if you haven’t followed them back yet you can’t receive their message. Anyway, just stop doing it. It’s a horrible idea. While some people won’t ever look at their DMs because of all of the spam type messages they’re getting on connection with people, I’ve found it a really effective way to reach people who might normally not even notice an email from you. Some people want to thank every person they connect with and thank people for every mention and retweet. I’d suggest you not do this. 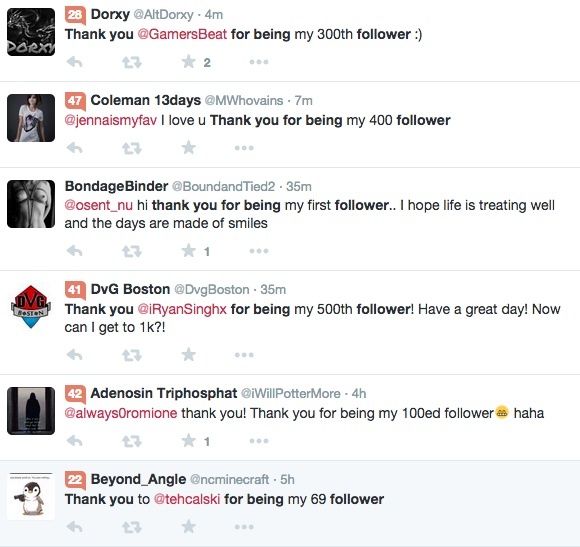 It clogs up your followers feeds with nonsense, and you spend half your life just thanking people for talking to you. I often relate Twitter to a cocktail party (I have 3 young kids – it’s about the closest I get to one). If you were at a party and someone responded to what you said, would you interrupt the flow of conversation to thank them for talking to you? There’s no better way on Twitter to quickly get to know people, get your questions answered and show you know your stuff than chats. You’ll find all sorts of articles on how to participate in chats, and calendars of chats. I’ll do some posts on that in the future, too. On a very basic level, a Twitter chat is a discussion on Twitter that usually lasts for an hour, occurs at the same time every week, and is identified by hashtags. You don’t need to pay, use special equipment or be any sort of expert. Twitter lists are a great way to segment people you follow. I have a couple of lists that I read rather than my default feed. Some people on my lists are not people I’m following. You can make lists of competitors, prospects, experts in particular subjects, etc. Find people you like and who engage with your content, so their followers might know you. Look at their lists. These are people that have been intentionally collected. I have a list I call The Watchlist that’s my go to list of the people I really want to keep up with. A lot of people have similar lists. These are the ones you want to read through. Connect with people there, read their posts, etc. It seems like common sense that you need to comment on what people say to get engagement, but a lot of people haven’t figured this out yet. Twitter isn’t just a place where people look to see what you’ve said. It’s a place to meet people, get to know them, show them you care about what they have to say, and write things they’ll want to read. Read other people’s content. Comment. Try to get into conversations. Most people have no problem promoting their blog content on Twitter, even to the exclusion of interacting. But a lot of people also feel uncomfortable with seriously promoting their blog. Don’t just promote a post when it’s written. Send out the same or a similar tweet many times for each post. Also, when you see someone discussing something you blogged on, send the link. Follow people who may be interesting or useful. Unfollow people who are not interesting, who post things you object or, or who don’t follow you back. You may not entirely agree with these reasons for following or unfollowing, but it’s what I use to guide my decisions on the matter. Go to IFTTT.com and take a look. There are recipes that connect activities on different sites and do things. I have one that puts every Tweet I favorite into Evernote. Another posts all my Instagram posts as Tweets with the image in it. You’ll gain some massive productivity if you can use a few of these scripts. This is arguable two things, but they’re so similar I’m going to put them in one. Put simply, people like to see things. Share photos and make graphics to amplify your message and you’ll get a lot more activity on those posts than you would normally. If you over do it on words on images that look like cat posters, or post tons of cats photos or ones of waterfalls done where the water looks foggy you might lose people. Remember, use imagery to improve your message. Lots of homework. I’ll blog about a log of these individually in the future. The point is to have some strategy. If you don’t, you can’t really be surprised if no on wants to jump into conversations with you. 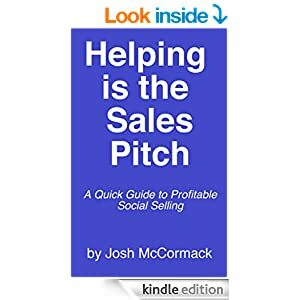 Hi Josh, I like your ideas for developing strategies on Twitter. Good shout on producing graphics! I recommend creating a Photoshop template based on a 2:1 image size ratio. It doesn’t take long to produce graphics – screenshots with a nice lighting effect added can really pop inside the Twitter stream. Something I’d like to add to the list is to use FollerWonk to locate keywords in profiles you might want to follow… And JustUnfollow to find out who is unfollowing you. I like the “JustUnfollow” I find people follow you to get their numbers up and unfollow you almost immediately after you return the follow. I try and do this manually. It is tedious. Plus I will start using Twitter lists. I have seen the list section in twitter before. I just have to figure out how to use it. Thanks for the good tips!